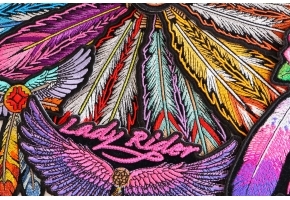 Lady Rider Wings and Feather Small Patch measures 4.3x3.7 inches and is Embroidered in Black / Pink / Purple / Blue / Red. 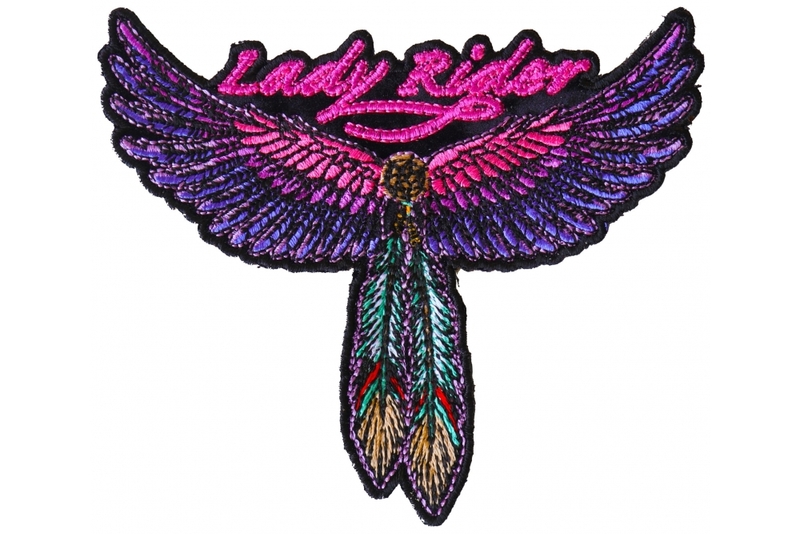 This is a new smaller version of our very popular Lady Rider Patch with wings and feathers. It is the smallest size we could make it in and still capture the lovely details it has. Remember embroidery work has its limitations, the thread is a certain thickness and so is the needle. That means you can't just make a stitch that is half a millimeter in length. The smaller you go on patches the more details you have to give up from the original design so it doesn't look over digitized. This one here is pushing the limits. 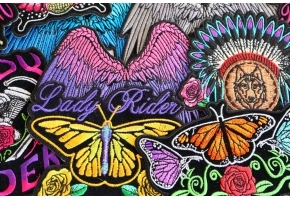 Still the results are very beautiful but have you seen the details of the larger and medium versions of this lady rider patch? 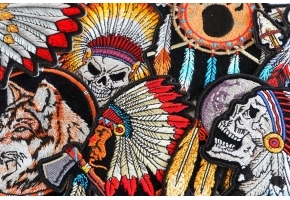 We take several photos as well as a video of our patches with art on them so you can closely see and understand the kind of patch you will be getting. 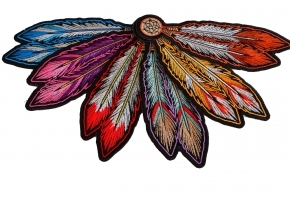 The shades of pink and purple on the wings really accentuate the turquoise used in the feathers. Another piece of art created by Arturo Vilmenay.